The Central Government has handed over details pertaining to decision making process and offset partner of the Rafale deal to the petitioners in compliance of the directions of the Supreme Court. The Government has stated that the deal was finalized following the 'Defence Procurement Procedure' formulated in 2013. 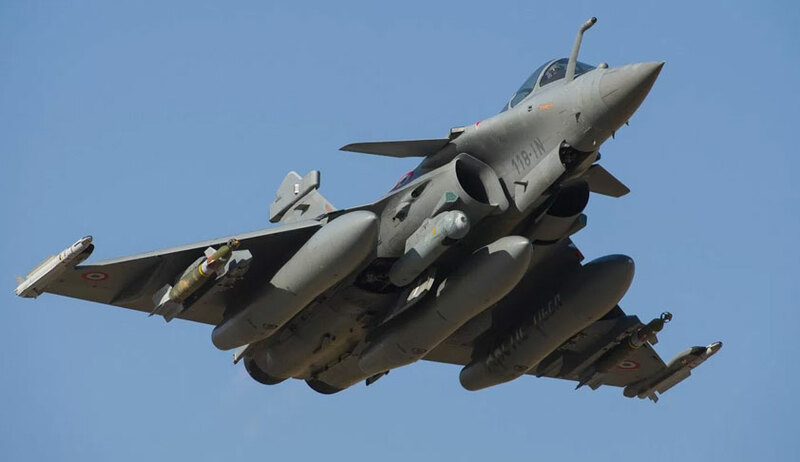 It is stated that Dassault's bid was selected in January 2012 and negotiations commenced in February 2012 for procurement of 126 Medium Multi Role Combat Aircrafts(MMCA) which included 18 aircrafts in direct flyaway condition and 108 aircrafts to be manufactured under license by Hindustan Aurenotics Limited(HAL) over a period of 11 years from the date of agreement. However, negotiations could not get finalized due to unresolved issues regarding manufacture agreement with HAL. The manhours required by HAL for manufacture was 2.7 times higher than Dassault. Dassault was also not prepared to undertake contractual obligation and responsibility in relation to 108 aircrafts to be manufacture in India. The stalemate continued for three years until April 2015, when a new deal was announced through a joint Indo-French statement "on terms which would be better than that conveyed by M/s Dassault Aviation in the process which was already underway". The new deal was necessitated in view of the enhancement of capabilities of adversaries and the decline in the number of fighter squadrons in IAF. The revised deal pertained to procurement of 36 aircrafts in direct flyaway condition. The approval of the Defence Acquisition Council was taken for the procurement of 36 aircrafts in May 2015. It is also stated that the the deal was finalized after negotiations held in 74 meetings for almost an year with the French Government by the Indian Negotiating Team,which was constituted with approval of the Cabinet Committee on Security. The Cabinet Committee of Security accorded sanction for the Inter Governmental Agreement(IGA) on August 24, 2016. The Government states that the IGA was signed after following all mandatory procedure on September 23, 2016. Regarding offset partner, it is stated that there is no mention of any private business house in the IGA. India has been following the policy of including an 'offset clause' in procurements worth Rs.300 crores or more since 2005. This is done with the intent to promote indigenisation and to leverage capital acquisition to develop Indian defence industry. The offset clause ensures that for every dollar that goes to a foreign arms supplier, 30-50% would get back to India for investment or procurement. There were two Offset contracts signed on the same day of IGA- one with Dassault and another with M/s MBDA, a French industrial supplier of aircraft package. As per these contracts, they have to discharge offset obligations, which commence from fourth year of the agreement, i.e October 2019. They can be discharged through direct purchase of eligible parts or services from domestic entities, FDI in joint ventures, transfer of technology etc. As per Defence Offset Guidelines, the Original Equipment Manufacturer(OEM) is free to select any Indian company as its offset partner. In furtherance of the offset contract, a Joint Venture Agreement between Reliance Defence and Dassault Aviationwas signed in February 2017. It was a purely commercial contract between two private companies in which Indian government had no role to play. "Government of India has no role in the selection of Indian Offset partner which is a commercial decision of the OEM", the document states. On October 10, the Supreme Court, while considering PILs filed by M L Sharma and Vineet Dhanda challenging the deal, had directed the Government to submit the details of decision making process involved in the deal. Then the Court had made it clear that the information sought would not cover details of pricing and technical suitability of the aircrafts. Later, on October 31, the Court directed the Government to hand over the details to the petitioners. The Court also considered a PIL filed jointly filed by Yashwant Sinha, Prashant Bhushan and Arun Shourie seeking court-monitored CBI probe in corruption allegations in the deal. The Court further directed the Government to hand over to the petitioners details which could be legitimately brought in public domain regarding the induction of 'offset partner' in the deal. The Court also expressed that it wished to be apprised of strategic details and pricing of the deal; however it was added that these details need only be confidentially submitted to the Court and not to the petitioners. The PIL by Sinha, Shourie and Bhushan alleges that in the Rafale deal there is prima facie evidence of commission of cognizable offences under the Prevention of Corruption Act by public servants occupying the highest of public offices in the country. Though the petitioners had filed a complaint on October 4 before the CBI alleging foul play in Rafale deal, no action has been taken. It is alleged that when the Prime Minister visited France in April 2015, a new deal was announced to purchase only 36 Rafale Aircrafts in a ‘fly-away’ condition without any transfer of technology and make in India, in variance with the earlier deal of 2012. It later turned out that the new deal involved 50% of the value of the contract to be given as “offset contracts” to Indian companies and that the government informally told Dassault and the French government that the bulk of the offset contracts would have to be given RAL company of Mr. Anil Ambani which had just been set up. It is also alleged that the price of the aircrafts in the new deal has been increased from approximately 700 crores per aircraft to over 1600 crores per aircraft without any legitimate public interest.